The Democrats were visibly upset as our president confidently stated at the beginning of his first State of the Union address, “The State of Our Union is Strong!” It went downhill from there as far as the Dems were concerned. 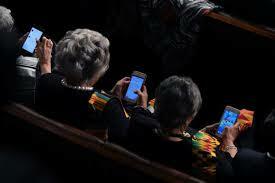 They didn’t get much exercise at the State of the Union address. They mostly sat, slouched, talked to each other or played games on their phones while the president made an excellent case for American exceptionalism, and laid out his plans to make America great again through patriotism, protection, peace, and prosperity. Meanwhile, Republicans got a real workout, with 115 standing ovations as President Trump made one significant point after another. There was more applause during this SOTU than at any in decades. So why were the Democrats so sullen? 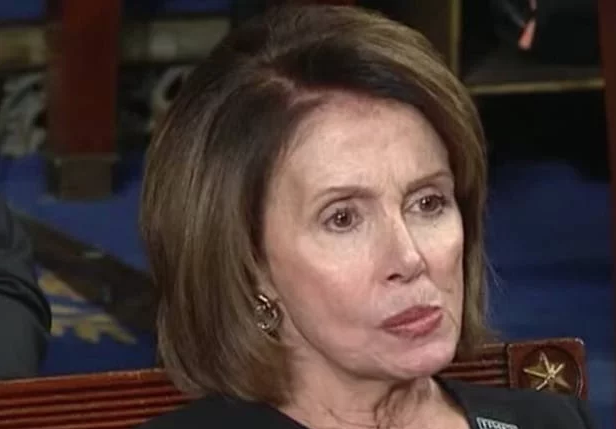 Most of the Democrats showed up in black mourning clothes and made ugly faces while Trump announced good news for America (Nancy Pelosi excelled at this).They generally acted like spoiled children throughout this significant event. These were Senators and Representatives – supposedly leaders – elected to represent their constituents. I doubt most Democrats expected the people they voted for to embarrass themselves and their Party like that on international television. Below is a list of some of the dozens of people and points for which Republicans stood, clapped and cheered. 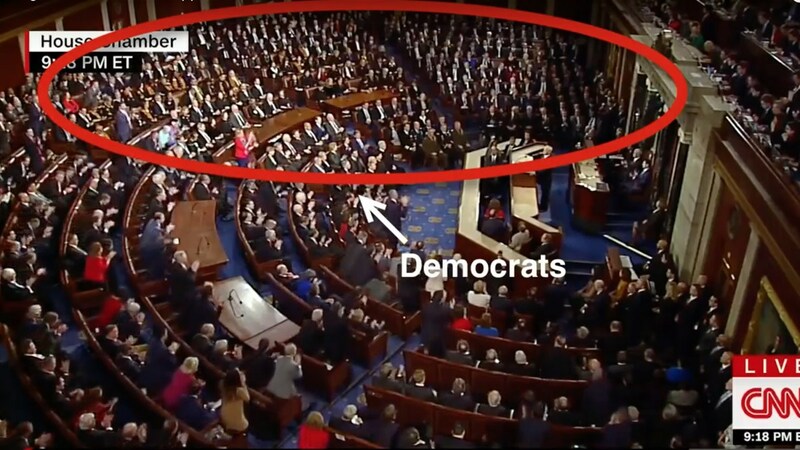 As they did so, the Dems sat, sneered, and scowled – even though many of the points were ones they should have applauded, and many of the people recognized were heroes whom every American should celebrate. They also audibly hissed, booed, groaned and shouted “lies” while the president spoke. 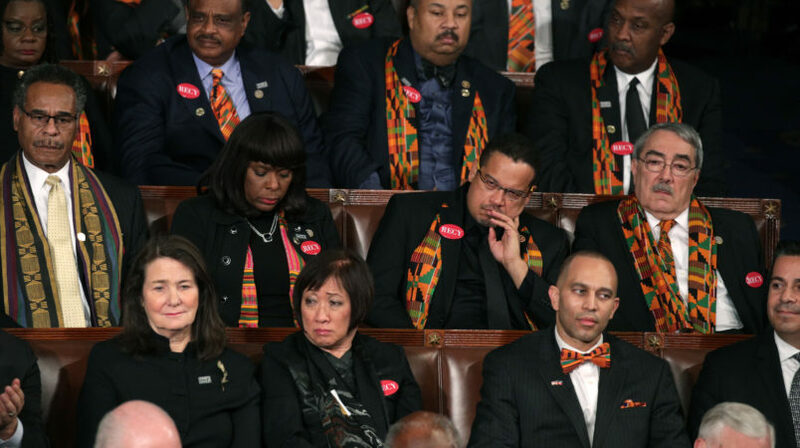 This was inexcusable behavior for a State of the Union address – even for the typically surly Democrats. After a year, they still haven’t processed the fact that Trump trounced their queen in 2016. The behavior of the Democrat Black Caucus was particularly disgusting. When the president announced that Black unemployment was at an all-time low, Republicans cheered. The Black legislators all sat, refused to clap, and looked like someone in front of them had just passed gas. 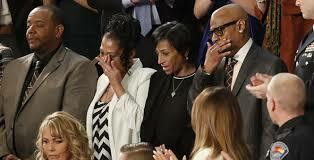 And when President Trump introduced two black couples whose teenage daughters had been brutally tortured and murdered by the vicious MS13 gang, they refused to stand in their honor. All the Republican and even some Democrats stood with these couples in their grief, but not the Congressional Black Caucus. Democrats became positively apoplectic when Trump reminded viewers that Americans have dreams, too. This is the statement that they found so offensive: “My duty, and the sacred duty of every elected official in this chamber, is to defend Americans - to protect their safety, their families, their communities, and their right to the American Dream. Because Americans are dreamers too.” Why was this so offensive to the Democrats? As commentator Mark Levin so eloquently put it, “Day in and day out, we’re told about the ‘dreamers.’ Who are the dreamers? Illegal alien children. Well, we have dreamers too. Our children. What about our children?” I agree. Why are the dreams of illegal aliens of greater consequence than the dreams of our fellow citizens? The Democrats also freaked out about this statement: “The era of economic surrender is over. From now on, we expect trading relationships to be fair and to be reciprocal. We will work to fix bad trade deals and negotiate new ones.” The Liberals have bought into the Globalist agenda to the point where they feel it is actually “fair” for the U.S. to be cheated on trade deals in order to make up for past perceived injustices. That was definitely the policy under Obama. Trump let everyone know that there is a new trade sheriff in town. All in all, I felt the State of the Union Address struck a perfect balance. It's not easy to put together a SOTU speech. It's supposed to be the president informing Congress what shape the Union is in; so it should be informational. But over the years, and especially with the advent of television, it became an address to the whole nation, not just the Congress. So it needed to be inspirational as well. Most SOTU's fall into one of two categories: Self-congratulation or boring laundry lists of policies the president plans to implement. Obama spent most of the time in his yearly speeches patting himself on the back. His most-used words were “me,” “myself” and (particularly) ”I.” In fact, in his first State of the Union, he used the word “I” 105 times! Most SOTU's by other presidents in the last several decades have fallen into the laundry list category. Last Tuesday President Trump did do a "victory lap," listing his first-year accomplishments. But he kept that to a minimum. Most of his speech focused on the achievements of outstanding Americans and on his plans to improve the safety, security, and prosperity of America. It struck what I consider to be a perfect balance. Here are some of the statements, introductions, and announcements that had the Patriots in the House Chamber on their feet, clapping and cheering. In response to these same points, the Democrats sat, sneered and scowled even more deeply. Some of their facial expressions could have been made into scary Halloween masks. 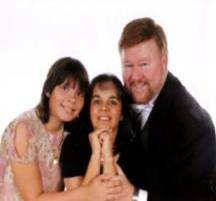 · Our National Motto: "In God We Trust"
· When President Trump asked God to bless America, hundreds in the chamber started a patriotic chant of USA! USA! USA! Democrats could be seen on camera fleeing the chamber. I challenge anyone to point out any one of the points above that every patriotic American wouldn’t applaud. And then ask yourself, “Why did the Democrats make such a point of opposing these things?” Is it because they are not patriots? Or is it that their bitterness and hatred of our president have so enraged them that they cannot think clearly?